Home » SCD Recipes » SCD Legal Orange Chicken on a Hot Summer Night! SCD Legal Orange Chicken on a Hot Summer Night! Once again I headed down to the city market on Saturday to pick up some Otto’s Chicken thighs from non-hormone, non-antibiotic, free range chicken. If you want to try and make the chicken just grab a few packs of chicken thighs and a couple organic oranges! That Pan Is Maxed Out! 1st: Wash the chicken thighs and then place them in a pan (I like to use glass pans) skin side up. 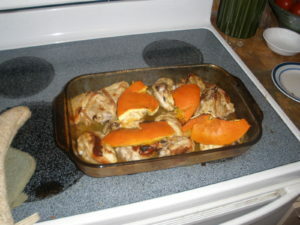 2nd: Cut each orange in half, turn them upside down in your palm, and squeeze out all the juice all over the chicken. 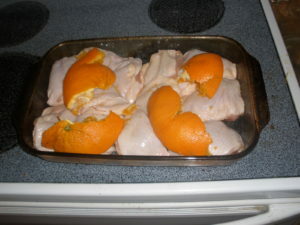 Then take the leftover orange halves and lay them across the chicken for baking. 3rd: I usually add a little olive oil and then sprinkle on thyme, sage, cayenne, and black pepper on top of the skin. 4th: Throw them in the oven at 425 degrees for 30 minutes, then pull them out and flip each one over and put them back in for another 25 minutes, then check the temperature. If you do that, the skin will be face down the last 25 minutes and be almost crispy fried when they are done, an amazing treat! Steve and I always talk about how it’s an important part of the SCD diet to have a good idea of what your long term diet goals are. In the beginning, I was all about just feeling better. As I healed on the diet and continued to feel better and better, I started to run into a food wall. 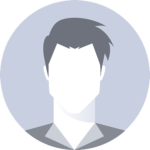 I have been in a holding pattern with Phase 3 foods for a while now and seem to have trouble whenever I make an attempt to introduce something new (terrible gas and diarrhea). My father’s day ended up in being down in the dumps because I tried peas on Saturday night and spent most of Sunday paying the price (I guess I should have known better than to try them the night before Father’s day). I guess I will have to try them again next week in pureed form and see if that makes any difference. My long term SCD diet goal is simply to someday get to the point that I can eat raw nuts, fruits, and veggies along with the meats I am eating now. I still can’t handle any form of dairy and I am not too concerned with being able to have it again at any point, if I can… I can. I could care less about ever having grains or starches again, I know that for sure! There’s just something about being able to eat a fresh apple or some fresh picked strawberries that I have to experience again someday. I don’t know when or if I will be able to get to that point, but for now it’s a nice incentive to keep pushing forward and trying out new foods once a week or so, even thought it doesn’t always end up the way I would like it to. Post a comment below, what are your long term SCD diet goals? What SCD food has you drooling to experience it again? Same as you, Jordan – can’t handle raw foods. If there’s no other food available, I can eat a Big Mac with little more than a bit of wind after. But a big fat healthy salad will give me the runs generally, unless I make it myself with a fair bit of cold leftover cooked veg. I’d love to be able to eat the full SCD diet, nutmeal, cheese and yogurt, beans and all! Just trying to keep my intake squeaky clean and super-safe at present and go for max healing of the leaky gut. Hitting the bone broth big time after your recommendations! My long term SCD goals are close to the same, I want to be able to eat veggies, fruits, meats and nuts regardless of whether they are raw or cooked. 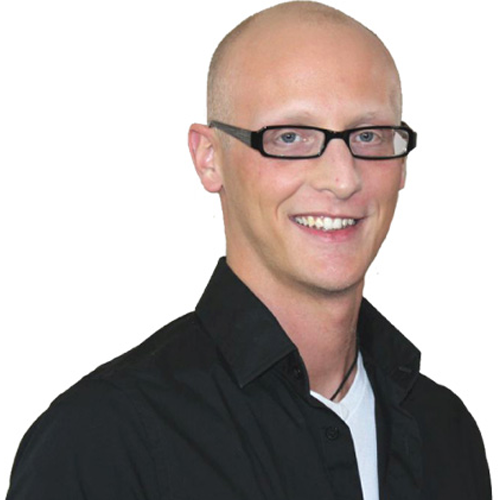 Basically I want to continue healing on the SCD diet and then transition to the Primal diet. I do love yogurt so I’m going to continue working on perfecting my technique. I can’t wait for the day when my daily lunch is an gourmet baby spinach salad filled with raw veggies, dried fruits, roasted meats and toasted nuts! Top it off with some olive oil and white wine vinegar and I’ll never think about a sandwich again!